I have finally reached the point in my life where I can say “the good old days.” For many people in my age group, the Nintendo 64 was the most memorable console generation. Some of the best games were released during this period including Super Mario 64, Goldeneye 007, Banjo-Kazooie, and Legend of Zelda: Ocarina of Time. Now that this console and it’s library aren’t being manufactured anymore, there are little options available for those who want to replay these games. 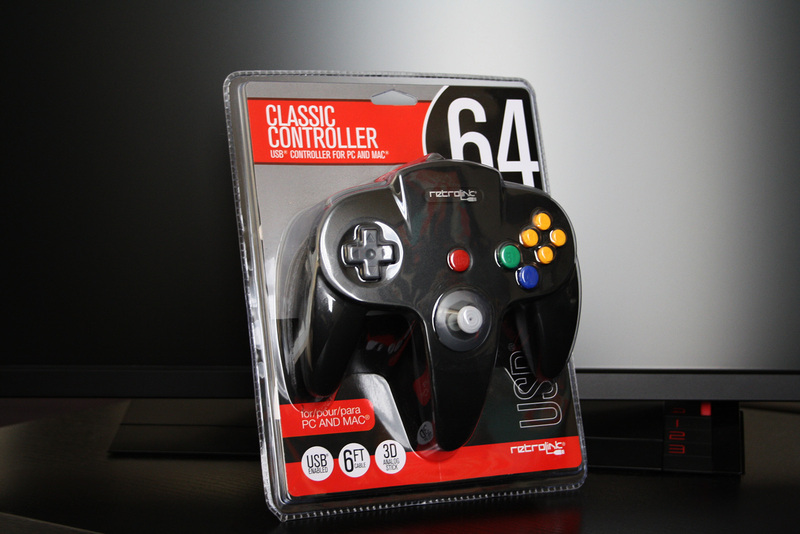 RetroLink has refitted many classic controllers with a USB connection, including Super Nintendo, Gamecube, and Sega Genesis. Having a USB connection on these controllers allows them to be used on a PC or Mac. They can be mapped for different kinds of games, but the most popular option is for emulation. The controller itself feels authentic. After using countless worn in Nintendo 64 joysticks for many years, it was refreshing to have a new one again. I haven’t held an official Nintendo controller in a while, but this one appears to be lighter. The buttons started to settle in after 10 minutes and it continued to feel more realistic from there. I’m surprised that I only recently discovered that this product existed, and look forward to getting plenty of enjoyment out of it. It’s going to be featured in my retro gaming segments on our recently launched Twitch channel. This is a large initiative that will be developing over the next couple of months. If you have an account, make sure to hit the Follow button and share the stream. Join in during live sessions to chat and interact with the community.